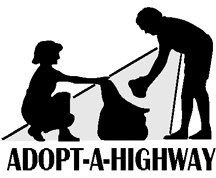 Our Adopt-a-Highway date is 1:30PM (for 2PM start) this Saturday (22 October) everyone!! We need you this Saturday at the Latrobe Caltex Service station on the highway for a couple of hours. Rod from Volunteers Australia will be there with the AdoptaHighway van and he will equip us with the necessary safety equipment. Just bring a bottle of water, good shoes and a hat! 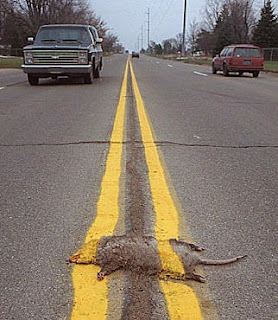 Anything we find that may be suitable for the rigged raffle has to be passed on to Flasher, and roadkill goes to first finders. Bitofthis and GoneAgain will bring the Barbie to help us recover with a snag and a refreshing ale after the grueling two hour event. There will also be an opportunity to grill any roadkill you may have found.